Mom devises brilliantly evil solution for daughter that wouldn't clean her room. 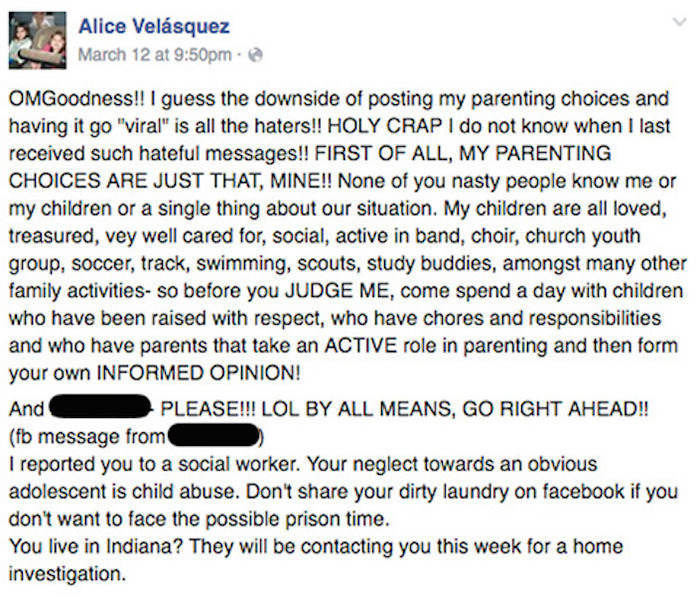 A mother named Alice Velasquez had enough of her teenage daughter's messy bedroom and decided to come up with the smartest, most evil way to get her to pick up after herself. 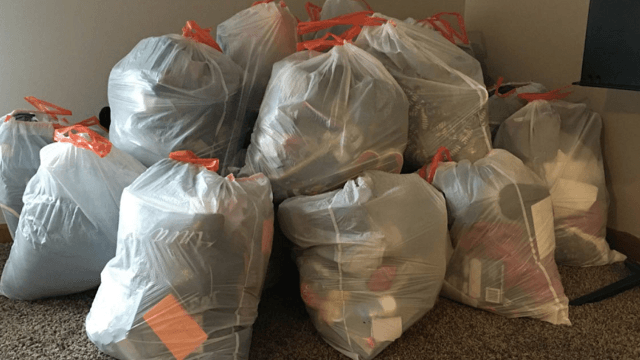 Velasquez decided to bag up her daughter Tahlia's entire bedroom into multiple garbage bags and sell each one back to her at $25.00 a piece. The only way Tahlia can earn the money to buy back her stuff? By doing chores. Looks like garbage day, is actually all of your belongings. It didn't take long for Velasquez's post to be discovered by the most ruthless of all the Internet dwellers—the Mommy Bloggers. Valesquez came under scrutiny from other mothers who told her she wasn't mothering right (or, rather, that they are mothering better than than the way she is mothering). According to her Facebook, someone even reported her to a social workers, citing child abuse. Let it out, Alice. Let it out. The real question is, did Alice's dastardly plan work? Can a teenager actually take their gaze off their iPhone screen long enough to learn an important life lesson? According to Velasquez, it went even better than she originally intended. "YES!" wrote Velasquez. "She has, and her super siblings all volunteered for extra chores to help her earn faster too... SO not only was it a lesson for my oldest daughter, but a great... family building exercise as well." Although people did accuse Velasquez of being harsh, the majority of the Internet lauded her for the creative way she held her child's possessions ransom to get her to start acting like an adult. Of course, Velasquez probably spent more time bagging up every single one of her daughter's items than it would have taken her to just clean the room, but what fun would that be?